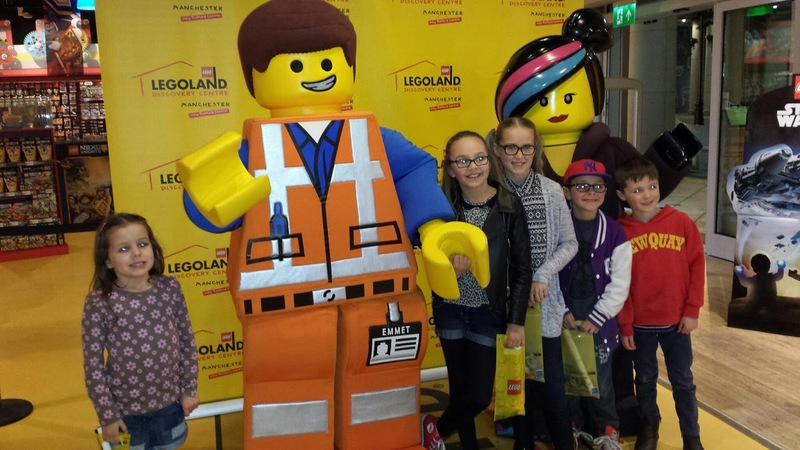 The New 4D Lego Movie at Legoland! Last night we got to go to Legoland at The Trafford Centre to see the new 4D Lego film. The event was closed to the public and included a selection of the great and the good......and us with the Sephtons!!!!! 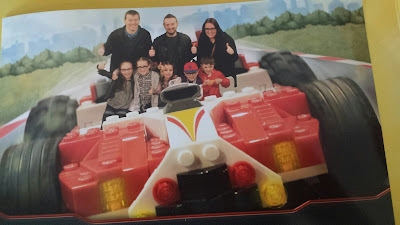 The 5 kiddy winks were thoroughly overexcited to just be all together and throw Legoland into the mix and I am sure you can imagine! The event started with the usual Lego factory tour which never gets old as it's interactive enough to keep the children entertained. We then had the chance to look at the exhibits before our viewing. The film was brilliant! 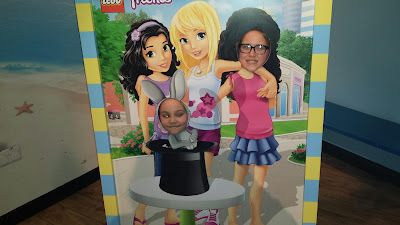 It featured familiar lego characters in an adventure to defeat the character Risky Business who wanted to hypnotise the Lego friends to make them perform at him new theme park Brick World!!! Thankfully with the help of the audience Risky Business is defeated!!! The special effects are great. As well as the 3D experience, you get the added bonus of being blown with wind and a light soaking too and even a smoke effect! Without wanting to go into too much detail, this 12 minutes show is brilliant and when you next visit Legoland you will have to see it. We then had the opportunity to have a play in Legoland and build to our hearts content. As this was an exclusive event it wasn't busy so the children were able to do as much as they wanted with only very short queues. The boys disappeared and were last seen zooming around the Lego car 'catch the robbers' race track and building lego cars to shoot down the ramps! The girls alternated between giving themselves a workout on Merlins flying ride, where the faster you cycle the higher you go, building creations in the Lego pits and playing in the play area. The master builder was open to give you a step by step guide to building lego creations. The cafe had refreshments for hot children who were having so much fun they needed to cool down! 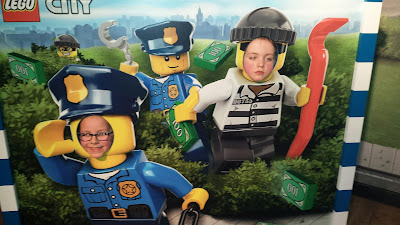 The children were all treated to a goody back, containing a poster advertising the Lego Movie, a lego keyring, badge and a packet of sweets and we got a complimentary photo as a keepsake. If you are planning on visiting the Trafford Centre soon you definitely need to plan a visit to Legoland. 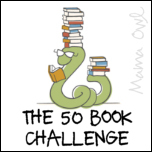 You may possibly enjoy it even more than the kids!!!!! 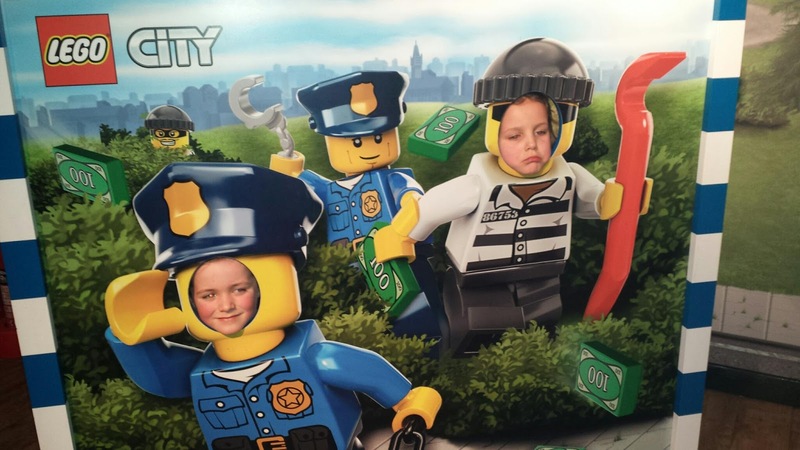 Note the sad faces from the robbers who have been caught!!! !